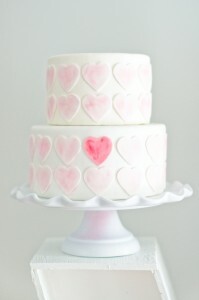 Looking for some inspiration this Valentine’s Day? 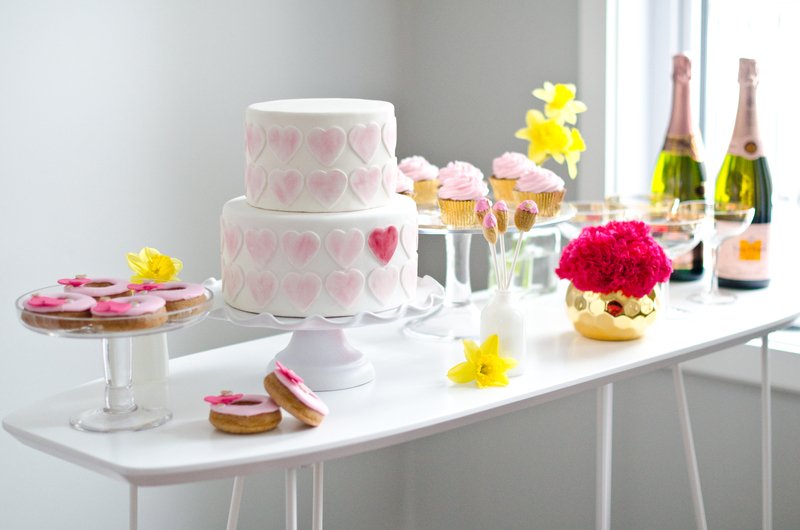 We’ve got you covered with all the essentials to throw the perfect Valentine’s or Galentine’s Party! Try to use multiple hues of pink and red together. It makes it a lot more interesting that just one colour! 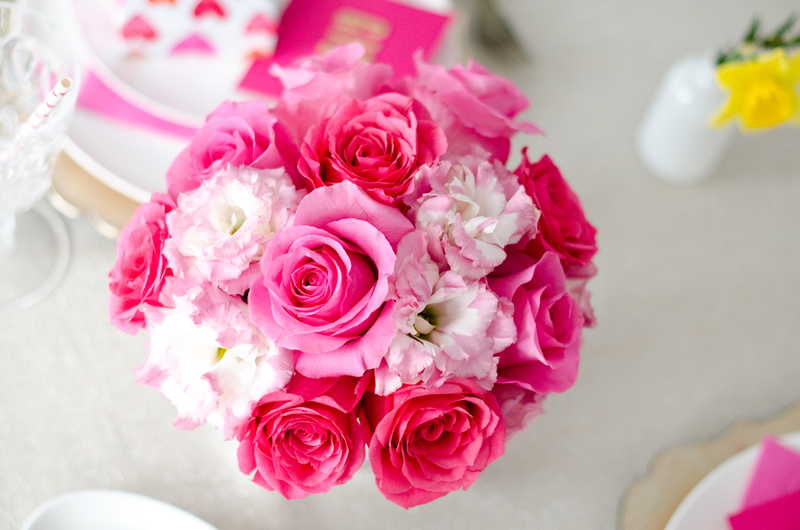 We stuck with a bright pink bouquet with little pops of yellow everywhere! You need something fun to get people talking! We love these giant XO marquee letters! They’re fun and make a huge statement. Best part? 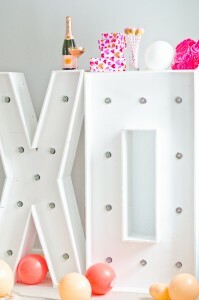 You can use them as a high top table to leave drinks and other fun things on! Of course you need the desserts! Our favourite? 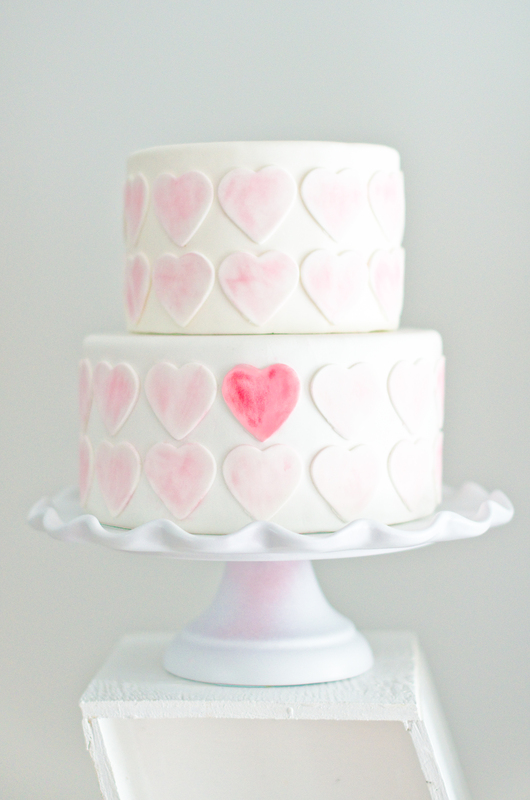 This gorgeous ombre heart cake. It’s feminine, delicate and fun all at the same time. Other bets are donuts, mini madeleine pops and of course everyone’s favourite, cupcakes! 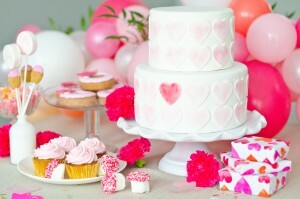 Once again we just stuck with a general theme of pink and used all different shades! Because what’s a party without balloons! 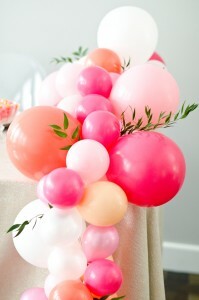 And a balloon garland is just the thing for this kind of party! Adding some garland into the balloons is a great way to make it more cohesive as well. Using neutral colours like white and wood are great ways to let everything else show! 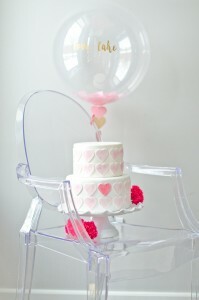 And how fun and whimsical are these translucent ghost chairs? 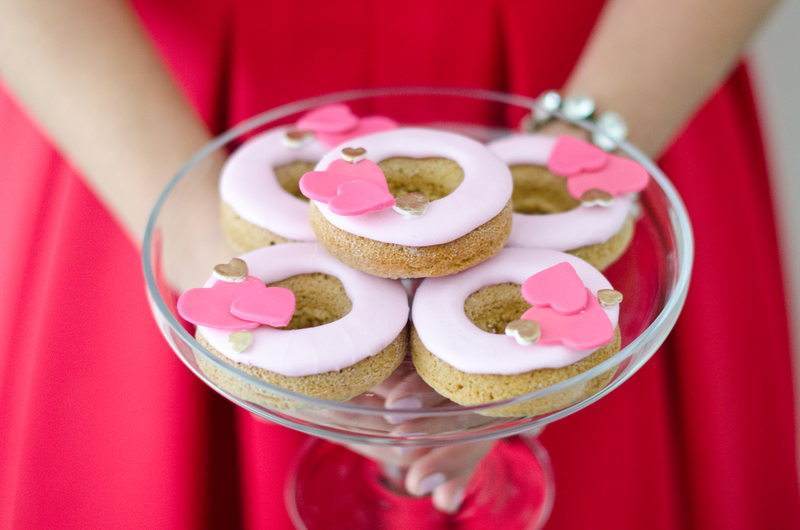 They are perfect for a party!